Fight fans will get a nice treat this week when the UFC holds three events in three days, culminating with a stacked card for UFC 194. UFC Fight Night 80, which takes place in Las Vegas, kicks off the three-day extravaganza. This is the card for prospects. The UFC brings a ton of talent to UFC Fight Pass that could turn out to be top names in the future of their respective divisions. Of course, the biggest prospect on that list, Paige VanZant, headlines this card against the first-ever UFC strawweight title challenger, Rose Namajunas. VanZant has garnered many headlines in the lead-up to this fight, but she will get a tough submission specialist in Namajunas. Namajunas is a replacement for Joanne Calderwood, who pulled out of the fight due to injury. The co-main event features another budding star on the UFC roster. Sage Northcutt looks to continue building on his hype against Cody Pfister. Northcutt blasted onto the scene with a quick TKO victory over Francisco Trevino in his UFC debut. At 6-0 and only 19 years old, Northcutt has been highly touted and marketed for a fighter who only just made his Octagon debut. Now, he gets to prove his debut wasn’t a fluke against Pfister. Pfister is coming off a unanimous decision victory in his last fight over Yosdenis Cedeno. Also on the main card, New Jersey native Jim Miller takes on The Ultimate Fighter 15 winner Michael Chiesa in a lightweight tussle. And at middleweight, Elias Theodorou will look to make it four straight victories in the UFC and keep his undefeated record going against Brazilian knockout artist Thiago “Marreta” Santos. UFC Fight Night 80 starts with preliminary-card action beginning at 6:45 p.m. ET on UFC Fight Pass. The main card will also air on the UFC’s exclusive online-streaming service beginning at 10 p.m. ET. This edition of Toe-to-Toe is brought to you by the creative Combat Press minds of Vince Carey and Sal DeRose. The UFC brass really likes Paige VanZant. They’ve already started pushing her as a top star and now she’s headlining a card opposite Rose Namajunas. If VanZant can get past Namajunas, she’ll have four straight UFC wins. Will the UFC continue to bring her along slowly, or will there be too much temptation to insert the young star into a title fight? Carey: I’m really liking what VanZant is bringing to the table so young in her MMA career. She’s only 21 years old, yet she possesses an “it” factor that already earned her a Reebok sponsorship and comparisons to Ronda Rousey. She currently holds a 3-0 record inside the Octagon and she seems to get better every time we see her. There’s a lot to like. Plenty of fight fans look at her and see a future star, and not only do I completely agree, but I’m starting to look at her as a future champion as well. Of course, before PVZ can even think about wrapping gold around her waist, she needs to get past Namajunas on Thursday night. That’s going to be a tough outing. VanZant has been great at pushing the pace and taking control of the cage during her UFC career. Her clinch work especially stands out as a major weapon in her arsenal. Her game plan against the smaller and exceptionally dangerous Namajunas is likely going to be to take the same approach as Carla Esparza did in her title bout against Namajunas. VanZant, like Esparza, will look to completely shut down Namajunas with her strength and grappling prowess before capitalizing once her opponent’s gas tank starts to give out. Obviously, that’s a lot easier said than done against a tough submission artist like Namajunas, but if “12 Gauge” can wear her out against the fence early, this fight could easily end inside the first few rounds. VanZant’s cardio and pressure are the best in the division and Namajunas isn’t going to be able to keep up. VanZant will take home the victory in relatively dominant fashion, so the real question lies in where she ends up next. As badly as the UFC would love to jump on the hype train and make a Joanna Jędrzejczyk-VanZant title fight, it’s a bit too early for that. VanZant could use a little more seasoning before jumping straight into the deep end, and besides, the promotion already has a couple of title challengers on deck. Claudia Gadelha has been next in line for Jędrzejczyk for a while now. Even if the Brazilian can’t get healthy in time to fight the champ, then Tecia Torres just needs to pull off a win as a favorite this Saturday against Jocelyn Jones-Lybarger to put her name in the hat. 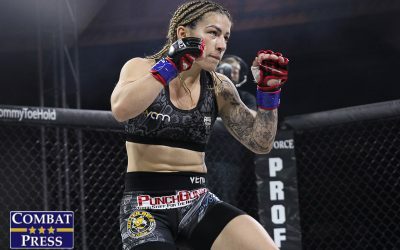 With Torres ranked third in the division and having handed VanZant her only loss, it only makes sense for “The Tiny Tornado” to get the next shot at the belt if Gadelha can’t go. VanZant has to win one more before getting a shot at gold, and she needs to earn it against someone else with a little star power. Michelle Waterson’s name comes to mind. Waterson was forced to pull out of a fight against Torres recently. If the timing works out for a fight between the former atomweight and VanZant, it would make sense and could be a lot of fun. It could also provide PVZ a chance to earn another marquee victory before being thrown to the wolves. DeRose: My colleague mentioned the Rousey comparison. Well, VanZant might have one more thing in common with the former champion after meeting Namajunas: a loss in the UFC. I’ve been on the VanZant hype train as much as anybody. She really is a good fighter, but she’s not a great fighter. When it was announced a few months ago that VanZant was facing Joanne Calderwood, I originally had VanZant slated to win. However, while I felt that it was a good step up for VanZant, but thought back then that it’s not like they were feeding VanZant to Namajunas or anything. Yeah, so I might have foreseen this coming. I can predict these things. For all the reasons my colleague sees VanZant winning, I see it in favor of Namajunas. Look, we all know VanZant likes to make the striking game a brawl and uses that aggression well to set up her takedowns and progress into grappling. VanZant doesn’t have the strength of Esparza nor the wrestling skills to completely neutralize Namajunas. Now, here’s the thing with VanZant. She has good grappling, but she loses a ton of positions on the ground. Namajunas isn’t Felice Herrig, Alex Chambers or Kailin Curran. Namajunas has some solid grappling skills, especially off of her back. VanZant could get away with losing against her past opponents, but against Namajunas, who is known for crazy submissions, that is a huge no-no. VanZant isn’t all that technical when it comes to her game. That will be a huge problem against somebody like Namajunas, who pounces on the mistakes of her opponent. Just look at her fight against Calderwood on The Ultimate Fighter. Namajunas really dominated the fight. The 23-year-old made Calderwood look like she had never grappled more than a day in her life and eventually submitted Calderwood in the second round. Randa Markos, another heavy-pressure grappler, was also submitted by Namajunas on the show. If VanZant wins this fight, it will be due to her heavy output on the ground that may open up a cut or really work on the cardio of Namajunas. However, it seems inevitable that VanZant will make a mistake and Namajunas will steal back the guard to quickly submit VanZant off her back. However, if VanZant does manage to win, then the UFC really does need to hold off on granting the young prospect a title shot. Jędrzejczyk would eat her alive if they were to throw the two of them together in the Octagon right now. We’ve seen what the champ can do to fighters like Valerie Letourneau, Jessica Penne and the aforementioned Esparza. That trend would likely continue against VanZant, who is still green in some areas. VanZant is only 21 years old, so there is plenty of time for her to develop to eventually get a title shot. The UFC would be smart to capitalize on VanZant’s momentum to bring in some high profits in a new marketable division, but common sense says the company keeps building a fighter with this kind of popularity among fans. Jim Miller was a consistent presence near the top of the lightweight division until he ran into Donald Cerrone and Beneil Dariush and suffered back-to-back losses. He has picked up a recent win, but can he continue to rebound when he meets Michael Chiesa? Are Miller’s days as a top lightweight done? DeRose: A split decision victory is still a win, regardless of how you look at it. Sure, it was a close fight against Danny Castillo, probably one of the better middle-tier lightweights in the division, but it isn’t definitive proof that Jim Miller’s prior losses were just flukes against top competition. It also isn’t definitive proof he is on the decline, though. This fight should tell us exactly where the 32-year-old stands in his career. Michael Chiesa is a tough out for just about any fighter. His two losses came against some pretty good fighters in Joe Lauzon and Jorge Masvidal. Chiesa is going to look to use his size advantage here. The 27-year-old holds a five-inch edge in height and reach. Chiesa will most likely seek to make this a grind for Miller by using his size to bully Miller against the cage. Chiesa also has very solid grappling that he can use if he wants to bring the wrestler to the mat. The size disadvantage might make it harder for Miller to use his wrestling to avoid being grinded out. Miller might also be the better striker of the two and is much more able to take a beating. There’s a reason he only has one loss by knockout, which happens to have come at the hands of Cerrone, a talented striker. The lightweight division is just far too stacked for Miller to be considered a top lightweight anymore, especially if he loses this fight. A loss will make it insanely difficult for him to make the climb back up the ladder. Carey: It kind of bums me out that Miller isn’t going to end up fighting for a UFC title. 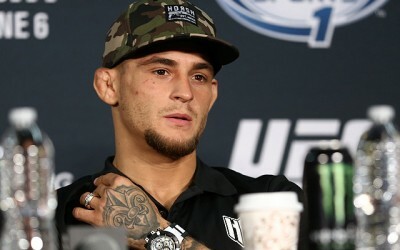 This is a guy who has won 14 fights inside the Octagon and been in some of the most exciting lightweight bouts we’ve ever seen, but every time he was on brink of getting a shot at gold he was shut down by one of the elite at 155 pounds. His career isn’t quite over yet and he’s still likely got a few years of fighting for the UFC left in him, but it’s safe to say his time as a contender is gone. The back-to-back losses to Cerrone and Dariush aren’t too troubling, because those are a couple of really good fighters, but the Miller we’ve seen in the cage during his last few outings isn’t the same guy who was running roughshod through the division a few years ago. There’s a chance for Miller to get things back on track and maybe make one final push for UFC gold with a win this weekend, but it’s unlikely to happen. Chiesa is reminiscent of a younger Miller at this stage of his career, and it’s not just the beards. Both men have underrated wrestling and submission skills, neither is afraid to stand toe-to-toe and slug it out, and they’ve both been covered in blood while fighting Joe Lauzon. OK, that last one probably doesn’t mean much, but you get my point. These are two pretty similar fighters, and while picking youth over experience is a risky play in most forms of life, it’s not a bad idea in MMA when the fighters seem this close. Chiesa is younger, bigger and probably stronger than Miller, and he should have no problem dictating where and how this fight takes place. Still, this is a Jim Miller fight, so we can expect to see a pretty wild and entertaining 15 minutes. The Jersey native is one of the best in the division at getting into brawls and making an otherwise inconsequential fight the one that people remember when the card is through, and that’s his future in this sport. With Clay Guida and Diego Sanchez having left the 155-pound division, there’s a spot open for a UFC veteran who’s tough as nails and willing to fight anyone and everyone as long as they can entertain the fans and earn a paycheck. I wouldn’t be surprised if Miller was the guy who ended up filling that void. Since we’ve talked about Paige VanZant, we have to talk about one of the UFC’s other most marketable fighters: Sage Northcutt. 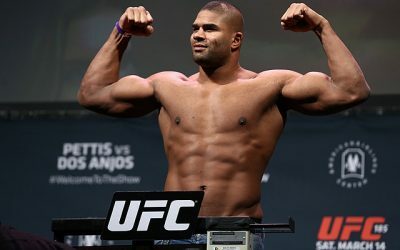 Is the UFC doing the right thing by easing him through the ranks? 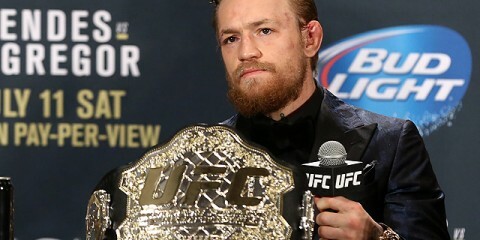 How long until he makes the jump up to face the best in the division and even contend for a title? Carey: You know what? I’m 100 percent on board with how the UFC is treating Sage Northcutt so far. The kid is 19 years old and has gobs of potential, that much is obvious. 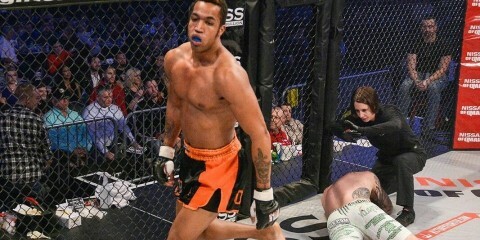 He came off like a future star the second he entered the cage for his fight against Francisco Trevino a few months ago. After his subsequent performance set the internet on fire for a minute, the UFC easily could have overreacted and thrown him in the cage against a known commodity and sat back to see how he dealt with the pressure. Instead, Zuffa did the right thing and continued to bring him up slowly, giving him this fight with Cody Pfister to gauge exactly where he’s at in the crowded lightweight division. I’m all for building up Northcutt slowly, but I have a feeling his performance this weekend is going to fast-track him a little too much. Pfister has a chance to be a game opponent, though, and his win over Yosdenis Cedeno at UFC 189 was proof that he deserves an opportunity to make a name for himself in the UFC. However, if we’re being honest, he has essentially been picked as a sacrificial lamb for Northcutt to slaughter on his way up the 155-pound ladder. I’m not necessarily saying to expect Pfister to get slaughtered on Thursday night, but the UFC is almost always uncannily good at providing its up-and-coming stars with winnable match-ups. It’s obvious the company is expecting Northcutt to walk away with this one. Northcutt will get a decent step up in competition with a win this week. Once that happens, we should have a better idea of how quickly “Super Sage” is going to be able to contend at lightweight. I’m still not completely convinced that Northcutt is the future title contender everyone is making him out to be, so don’t expect any speculation here on how long it could take him to get to that point. However, I will say that I’d be extremely surprised if he was in the lightweight rankings at this time next year. Northcutt is a hell of a prospect, but he can’t be crowned as the future of the division until he beats an opponent or two that can legitimize him a bit. DeRose: Yeah, the UFC really needs to take its time with Northcutt in this division. Lightweight is arguably the deepest division in the UFC, and there are handfuls of title challengers that deserve title fights before Northcutt. There aren’t many stars who can sell cards on their own, but Northcutt seems likely to bolster that list. However, I, too, am not totally ready to crown Northcutt as future of the division. The 19-year-old got a knockout win over Trevino, who was then cut from the promotion. Whether Trevino’s release was due to the weight-cut issue in his fight against Northcutt or his performance in said fight, who knows. Regardless, Northcutt needs some victories over talented opponents who are mainstays on the UFC roster. Within the next few fights, we should see him face some middle-tier lightweights. The UFC needs to gradually raise the level of play just a little bit in each fight before finally allowing Northcutt to crack into top-10 opponents. Northcutt would probably have some tough fights against the wrestlers in the division, and we haven’t really seen him tested against a top wrestler yet. The UFC needs to continue at its current pace to help Northcutt grow as a fighter and potential face of the promotion. Some fans might not like it and say the UFC is protecting Northcutt, but, considering his age, that should be the norm. Eventually he’ll have to face the best, but it won’t happen for a couple of years at the least. Aljamain Sterling and Johnny Eduardo are both currently sitting inside the top 10 of the UFC’s bantamweight division, yet somehow they’ve found themselves buried on the prelims of a Fight Pass card. Was the UFC right in placing this bout so far down on the card and, more importantly, is there anything the winner can do to ensure this won’t happen again? DeRose: I have no earthly idea why this is on the prelims portion of a Fight Pass card. When you consider just how good Aljamain Sterling is as a fighter and the future of the division, that alone should be reason enough to put this on the main card or, at the very least, near the top of the preliminary portion of the lineup. What it may come down to is the weight class. The bantamweight division hasn’t exactly received a heavy marketing push from the UFC, nor has it drawn in as many eyes as it should draw. Maybe the UFC doesn’t find either fighter very marketable, but it’s difficult to imagine how this could be the case. There isn’t much more either fighter can do to raise their profile with this single fight. Sterling should win this fight. He is a better overall fighter than Johnny Eduardo. Coming from the Serra/Longo camp, Sterling is very highly trained by some of the best coaches in the sport. Whether it be on the ground or striking, Sterling is the complete package. I’m very, very high on him as a potential title challenger one day. 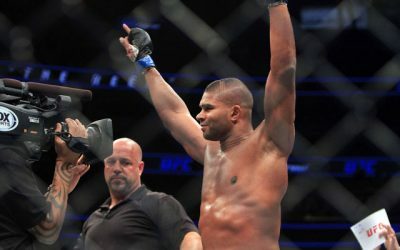 If a potential future title challenger isn’t enough to make the UFC market this fight more and put it in a more prominent spot in the lineup, then nothing will. Perhaps the UFC brass would change its mind if Sterling went on the mic and had some insane Conor McGregor-esque charisma and called out everybody in the division and their moms. Maybe he needs to go on a streak of devastating finishes, but he already has seven in his career, including two in the UFC. One of those finishes came against Takeya Mizugaki, who has been a bantamweight top-10 gatekeeper. If the UFC wants a more marketable bantamweight division, it should start by featuring fights like this one rather than burying it on the prelims. Sage Northcutt, in just his second UFC appearance, is in the co-main event and he isn’t even ranked. If anything, this division-changing fight should have been up there, but it wouldn’t sell as many tickets. Gee, I wonder why. Maybe it’s due to the underwhelming advertisement of the 135-pound division outside of T.J. Dillashaw? Carey: I’m offended to the point of almost being angry about where this fight was placed on the card. Sterling is the No. 5-ranked bantamweight in the world and he can’t get on a main card? Was it that important to let Elias Theodorou get some of the spotlight? I mean no disrespect to “The Spartan,” who has an undefeated record and some wicked awesome hair, but come on, man. 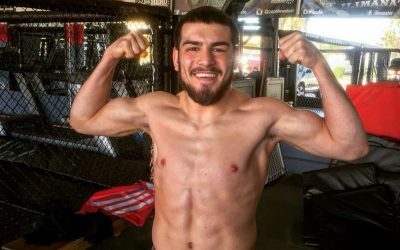 Sterling is undefeated and might be the prospect with the most potential on this entire card, and Eduardo is coming off of the biggest win of his career after knocking out Eddie Wineland last year. This is a pay-per-view main-card fight on some of the UFC’s weaker offerings, and the fact that it’s not even the featured prelim is more than a little ridiculous. Ordinarily, I wouldn’t be quite so amped up over something as trivial as the bout order, but I’m every bit as on board the Sterling hype-train as my colleague. There’s no other way to say it: “Funk Master” is just really damn good for having less than a dozen fights to his name. After seeing him dispatch Mizugaki with relative ease earlier this year, the MMA community started to pay attention. Getting stuck on the prelims of a Fight Pass card isn’t going to help him gain any notoriety, and since I’ve got a pretty good feeling Sterling’s going to be fighting for a belt at some point in the next two years, that seems like a mistake. As for making sure this doesn’t happen again, I’ll second my colleague. Sterling (if you haven’t guessed, he’s obviously my pick to win this one) either needs a highlight-reel stoppage win or he needs to get on the stick and cut some WWE-style promos to get the ball rolling. 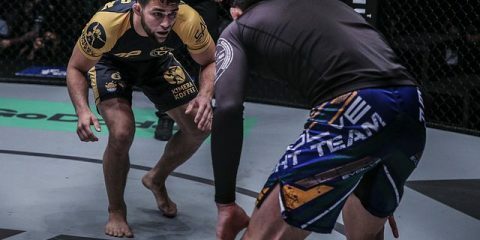 He has all of the talent in the world and a top-notch camp that should only make him better, but if he wants to become a name in the sport and get opportunities at big-money fights, then he needs to start speaking up. 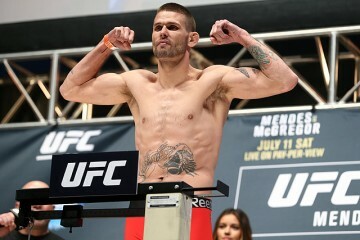 Carey: The prelim headliner between Tim Means and John Howard is bound to be a ton of fun. 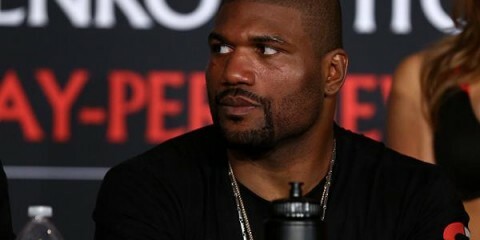 Both men like to stand and trade punches, and Means is aggressive enough that the sometimes hesitant Howard is going to have no choice but to either answer “The Dirty Bird’s” output or suffer another UFC loss. Howard has had a fight or two that have had the potential for excitement, but which have resulted in more than their fair share of boos from the live crowd. It’s doubtful that Means is going to let that happen in this contest, though, and an aggressive “Doomsday” is the best kind of “Doomsday.” Enjoy the slugfest. DeRose: Elias Theodorou against Thiago “Marreta” Santos. This fight may be on the main card, but this is probably the best part of the card. Theodorou has been impressive so far in his UFC career. 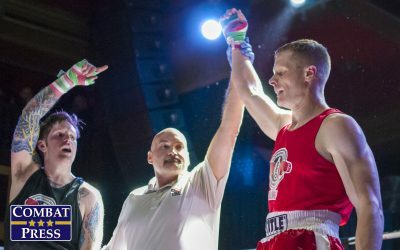 He has scored two of his three victories by way of TKO. He’s undefeated and may be the bright spot in the middleweight division, especially because of his undefeated record. Theodorou could have used a step up in competition following his win over Brian Ebersole, but Santos can be as dangerous as anybody else. Whether it’s his hands or his feet, Santos has knockout power. 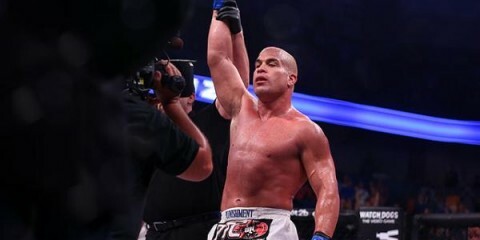 He devastated Steve Bosse in his last fight with a wild head-kick knockout. This could be a wild one, but it will go in favor of the man with the pound-for-pound best hair in the UFC, Theodorou. DeRose: Creed. Definitely the movie Creed. You have a three-day stretch of UFC cards, and what better way to kick this off than with the next installment in the Rocky franchise? Creed was an excellent movie with some excellent and outstanding acting between Michael B. Jordan and Sylvester Stallone. Make a trip over to watch boxing — I know, I know, that other combat sport — to get you hyped up for some fights. Carey: You know what? I second that suggestion. Creed is just awesome. It’s a must-see for anyone remotely interested in combat sports, Rocky and movies in general. In fact, pair this card with Creed and then pair Creed with a friend so you can discuss the movie in between fights. Oh, and pair this card with the other two cards this weekend, too. 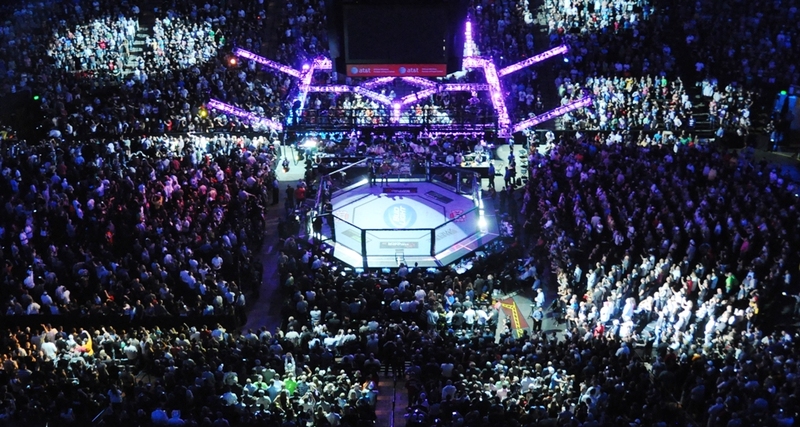 This is a UFC fan’s dream weekend, so you might as well enjoy every second of it. MW: Kevin Casey vs. Antonio Carlos Junior Carlos Junior Carlos Jr.